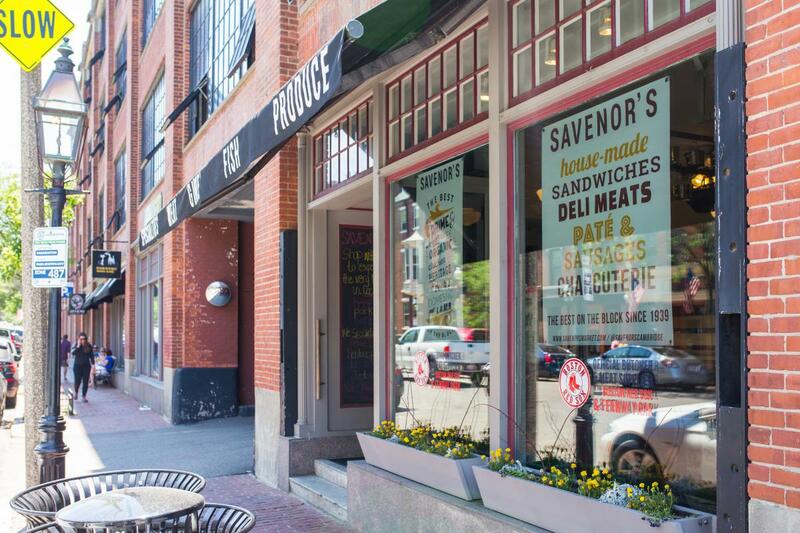 With locations in Cambridge and Beacon Hill, plus distribution to many of Boston's top restaurants and recently Fenway Park, it's safe to say Savenor's Market is a local institution. A favorite of Julia Child, the market's offerings include whole-animal butchery, stocks, pate, exotic meats, specialty retail food items, sandwiches and sauces. (1) Slice your cooked meat against the grain. This is easier with cuts where the fibers have more definition, but if you look carefully, you can often tell. Doing this makes the pieces more tender when you eat them. (2) Hold your knife at an angle. It increases the length of the meat fibers. Confirmed: Serious Eats agrees with both of these tips. There are cuts that are a little less pricey but still pack lots of flavor. First up is the club rib — located next to the bone-in prime rib. Call ahead for this one because the shop often sells out. Next we have the boneless short rib (turns out its not just for braising!) slice the pieces thin and marinate with a hoisin-garlic sauce, or something that will tenderize and give it that Korean BBQ flavor blast. The New York sirloin lends itself well to a London broil—a technique, not a dish and American one, not English. The trick to a killer burger, according to Savenor, is that you don’t put trim into the ground beef. And luckily for baseball fans, the butter burger is among the Savenor’s Market offerings at Fenway Park. Another successful experiment by the staff members involved aging the bone-in chuck meat for 30 days, available both ground into patty form and as loose hamburg meat. “It makes for expensive hamburg, but for someone with a discerning palate, then it’s awesome,” says Savenor. For pork, ribs are especially popular during the summertime, says Savenor. And while both the St. Louis-style spare ribs from the belly and the babyback ribs from the loin are both excellent, he usually opts for the latter. “The St. Louis ribs are meatier and I think have a better flavor, personally,” he says. Chicken can be gorgeous on the grill, as long as you don't cook it to death and keep some fat in the equation. Savenor is as proud of the store’s chicken as he is of any of the more expensive cuts of prime steak. For lamb, belly is an ideal selection for the grill, but lamb riblets are also highly recommended, says the butcher. Dry-rub the rich little riblets, and then slow-cook over indirect heat, or smoke them. According Savenor, the obvious choice is the tender chop. 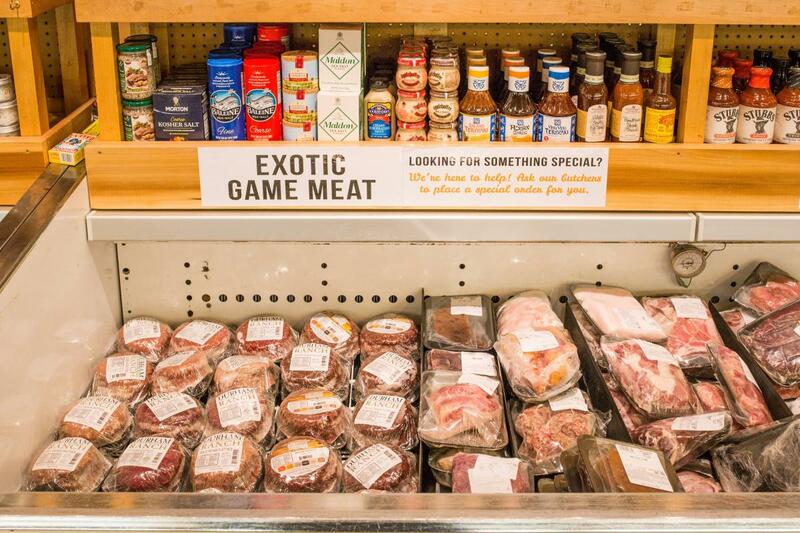 If you’re looking to diverge from the ordinary neighborhood cookout with a statement about your culinary adventurousness, go for the exotic meats. When it comes to kangaroo, venison and elk, go for the tenderloin. Or try the pre-made patties of wild boar, bison, camel or ostrich. Savenor reminds us that game tends to be lean, which can be tricky because the meat needs some of the intermuscular fat marbling — this “oleaginous unsaturated fat” — to enhance flavor. His go-to preparations are either marinating and cooking not much past rare, or gently smoking the meat. I recently ate an absurd number of varieties of sausage—about 50!—while writing an article about locally-made sausages for Edible Boston because (1) research and (2) what kind of soulless heathen passes up an opportunity to eat awesome sausages? My findings: Christopher Walker and his sausage team at Savenor’s have some serious charcuterie skills. My favorites are the mergez, a North African lamb sausage that showcases cumin along with coriander, garlic, caraway and harissa; and the Chinese sausage, a sweeter pork sausage with brown sugar and Five-Spice powder. I'll make no bones about it — sausages are fatty, and that makes them forgiving. If cooking over live coals for a crowd makes you nervous, these might be the way to go. Now go forth and grill!